There are misconceptions about custom software development people have which is why we have decided to set the record straight. As a business owner, you want your business processes to run as smoothly as possible to avoid wasting unnecessary time. More often than not, software off the shelf doesn’t offer all the functionalities you need, forcing you to purchase additional software. Many software programs are compatible and can be used in conjunction with each other but importing and exporting data from one program to another takes time. Time that could be spent doing something productive. While it does require an investment on your part, custom software development is actually the more cost-effective option in the long run. Your business needs won’t be the same two years from now which means you’ll have to find different or additional software programs to perform them. But when you have custom software developed by Netgen, you can just add functionality to your current software. No need to invest in new software or provide staff training on new software programs. If you think that only the big companies use custom software, you are completely wrong. No two businesses are the same. They have different requirements and need different functions to perform business processes. Even if you are a small or medium company, custom software development will benefit you in a big way! It might be true that if you combine various software programs you’ll have all the functions you need. But keep in mind, every software program comes with annual license fees, different customer service centres and compatibility issues. Why make it hard on yourself and your employees when you can just hire a reputable software development company like Netgen to develop the software solution you need. 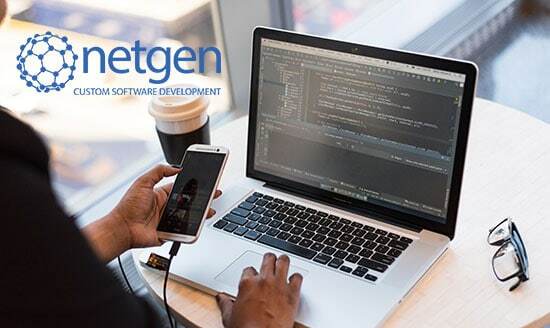 For more information about custom software development or a free quote, get in touch with the team at Netgen today!